1840 թվականի ամռանը բրիտանական գլխավոր գործակալը Աֆղանստանում` սըր Ուիլյամ Հեյնն իր նամակում գրել է Աֆղանստանի Արեւմուտքում անգլիացիների կողմից Հերատի անեքսիայի մասին եւ հայտարարել է. «Մեծ խաղ» տերմինը վերագրվում է կապիտան Արթուր Կոնոլլիին (1807-1842), որը նշանակվել էր քաղաքական հարցերով պատասխանատու։ 1840 թվականի հուլիսին Կոնոլլին գրել է մայոր Հենրի Ռոուլսոնին` Ղանդահարի նորանշանակ քաղաքական գործակալին. Կոնոլլին կարծում էր, որ Ռոուլսոնի նոր պաշտոնը նրան հնարավորություն էր տվել զարգացնել մարդասիրությունը Աֆղանստանում, և ամփոփել է իր հույսերը այսպես. 1835 թվականին Լորդ Օքլենդը նշանակվեց գեներալ-նահանգապետ, եւ փոխարինեց Բենթինկին, որը քաղաքականությանը չմիջամտելու քաղաքականություն էր վարում։ Հնդկաստանի Խորհուրդը Օքլենդին հանձնարարեց. 1838 թվականի հոկտեմբերին Օքլենդը հրատարակեց Սիմլայի Մանիֆեստը, քարոզչության մի մաս, որը կոչված էր Դոստ Մուհամեդ Խանի (Աֆղանստանի Էմիր) համբավը սեւացնելուն եւ որում պնդվում էր, որ դոստ Մուհամեդը. Շուջա Շահը հեղինակություն չուներ աֆղանցիների մոտ և լարվածությունը մեծացել էր, ինչը հանգեցրեց , 1841 թվականին բրիտանական բանագնաց կապիտան Ալեքսանդր Բերնսի սպանությանը։ 1842 թվականի հունվարին աֆղանները ուղղակի ապստամբեցին։ Թուլացել էր զինվորական կարգապահությունը, անգլիացիները որոշեցին թողնել Քաբուլը։ Քաբուլի 4500 զինվորներից եւ 12 000 ճամբարականներից կազմված կայազորը Քաբուլից հեռացավ Ջելալաբադ, որը 80 մղոն էր և 5 օր ցերեկով քայլքի հեռավորության վրա։ Նրանց վրա հարձակվեցին 30 000 աֆղան բնակիչներ։ Վեց բրիտանական սպաներ ձիով փախան, բայց միայն մեկը` Դոկտոր Ուիլյամ Բրայդոնը վիրավոր ձին ձիավարելով հասավ Ջալալաբադ։ Ավելի քան հարյուր բրիտանացի եւ 2000 սիպայներ եւ ճամբարականներ պատանդ վերցվեցին, իսկ մնացածը զոհվեցին։ Այսպես մեռավ «Հինդուների բանակը»։ Ապրիլին պատժիչ արշավախումբն ուղղևորվեց եւ կրկին գրավեց Քաբուլը և սեպտեմբերին ազատեց գերիներին։ Նոր գեներալ-նահանգապետը` Լորդ Էլլենբորոն, որոշեց Աֆղանստանից դուրս բերել Բրիտանական ամբողջ կայազորը, Դոստ Մուհամեդ Խանին ազատեց Հնդկաստանից և վերադարձրեց գահին։ Դոստ Մուհամեդը հայտնել է. 1889 թվականին Լորդ Քերզոնը, Հնդկաստանի ապագա փոխարքան, այսպես է մեկնաբանել. 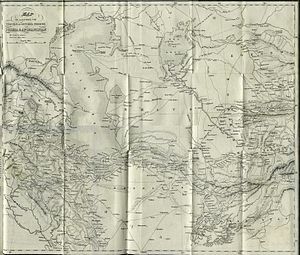 ↑ 6,0 6,1 Gerard, M. G., "Report on the proceedings of the Pamir Boundary Commission (1897)". 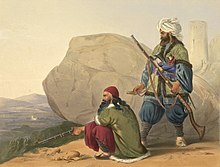 Digitized Afghanistan Materials in English from the Arthur Paul Afghanistan Collection. Paper 25. ↑ 10,0 10,1 10,2 10,3 10,4 10,5 Middleton Robert (2005)։ «The Earl of Dunmore 1892-93»։ Pamirs Org a commentary on "The Pamirs; being a Narrative of a Year's Expedition on Horseback and Foot through Kashmir, Western Tibet, Chinese Tartary and Russian Central Asia" by Charles Adolphus Murray, the Eighth Earl of Dunmore. ↑ Seymour Becker, "The ‘great game’: The history of an evocative phrase." Asian Affairs 43.1 (2012): 61-80. ↑ 15,0 15,1 J.W. Kaye, Lives of Indian Officers, 2 vols, (1867), ii, p.101-104. ↑ 17,0 17,1 17,2 17,3 Konstantin Penzev (2010)։ «When Will the Great Game End?»։ Oriental Review Org web article, no page numbers. 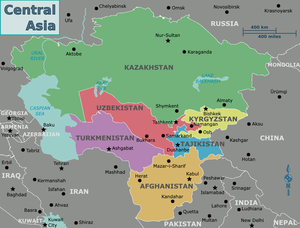 ↑ The Great Game: Britain and Russia in Central Asia. Edited by Martin Ewans. 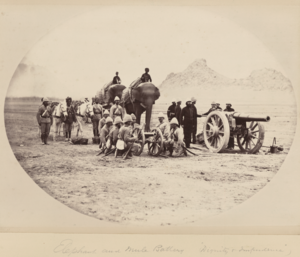 Volume II: Travels in Beloochistan and Sinde, by Henry Pottinger. First published by Longman, London, 1816. This edition by RoutledgeCurzon, Milton Park, England 2004. 0415316405. ↑ A Journey from Bengal to England through the Northern part of India, Kashmire, Afghanistan, and Persia, and into Russia by the Caspian Sea by George Forster. Volume 1 1798 and Volume 2 1808 R.Faulding, London. ↑ Narrative of Various Journeys in Balochistan, Afghanistan and the Panjab: Including a Residence in Those Countries from 1826-1838 Charles Masson. Richard Bentley, London 1842-3. 4 volumes. ↑ Journey to the Source of the River Oxus by Captain John Wood. John Murray, London, 1872. ↑ 62,0 62,1 Yate, Lieutenant Arthur Campbell. 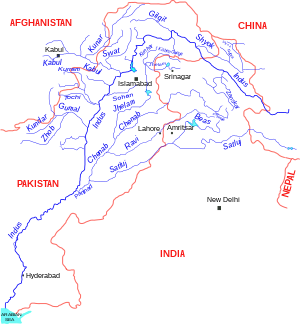 England and Russia Face to Face in Asia: Travels with the Afghan Boundary Commission. W. Blackwood & Sons, Edinburgh, 1887. ↑ 63,0 63,1 Yate, Major Charles Edward. Northern Afghanistan; Or, Letters from the Afghan Boundary Commission W. Blackwood & Sons, Edinburgh & London, 1888. ↑ Աֆղանստանը, Բելուջիստանը, Քաշմիրը, Չիտրալը, Գիլգիթը, Պամիրը և հյուսիսարևմտյան սահմանը. 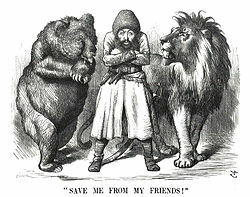 1895 թվականի ամփոփագիր, էջ 4. Public Record Office. Russia.Proceedings in Central Asia 1873-1898. F.O. 65/1507. ↑ "Enclosure No. 8. No. 179, dated Lake Victoria, the 28th July 1895 (Confidential). From Major-General M. G. Gerard, C. B. To the Secretary to the Government of India, Foreign Department." Record Office. Russia. Proceedings in Central Asia 1873-1898. PRO/FO 65/1506. pp. 336-337. ↑ Kim, by Rudyard Kipling (London: Macmillan, 1949). ↑ George N. Curzon, Russia in Central Asia in 1889 and the Anglo-Russian Question, London 1889, pp.356-7. ↑ Minute by Viceroy, encl. No. 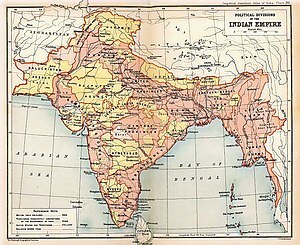 123 of 1875, Government of India, Foreign Department (Political), to Salisbury, 7 June 1875, N.P.123. ↑ David Gosset, 2010. Beyond the "Great Game" stereotype, the "Zhang Qian's Diplomacy". ↑ Sam Miller. A Strange Kind of Paradise: India Through Foreign Eyes. Vintage Books, London 2014. p286. ↑ Scott G. Borgerson. The Great Game Moves North. Foreign Affairs. ↑ Easton, Ian. The New Great Game in Space. The Project 2049 Institute.